This article provides a practical explanation of the Weisbord Six-Box Model. After reading, you’ll understand the basics of this powerful performance management tool. What is the Weisbord Six-Box Model? The Weisbord Six-Box Model is a framework developed by the American analyst Marvin Weisbord used to evaluate the performance of organisations. The generic framework has been developed to diagnose organisational issues that might otherwise go unnoticed by senior management. The Weisbord Six-Box Model is mostly based on techniques and assumptions in the field of organisational development and is used by a wide variety of organisations. The Weisbord Six-Box Model simulates comprehensive performance analysis by examining six research areas in the organisational structure. Organisations are often so large and complex that managers, despite knowing that the organisation could be much more efficient, don’t know where to start in order to identify and correct problems or inefficiencies. The Weisbord Six-Box Model enables them to evaluate the organisation’s performance in a structured way by focusing on issues such as scheduling, motivation and rewards, the role of support functions, internal competition between organisational units, partnerships, hierarchies, and the delegation of authority, organisational rewards and performance evaluation. 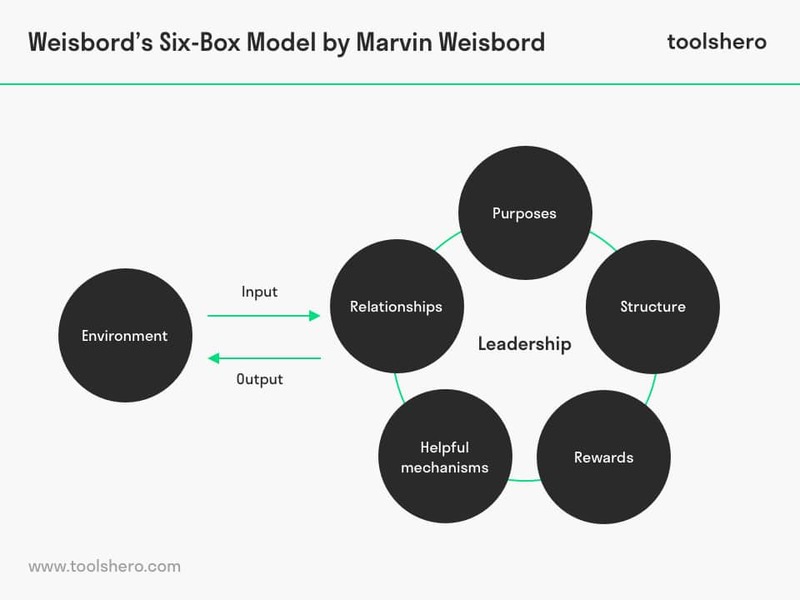 The Weisbord Six-Box Model complies with the basic system approach of organisational performance and allows managers to examine the organisation’s input and output. Organisational diagnosis requires defining and using a pattern for understanding problems within an organisation. The diagnosis includes the gathering and analysing of data and drawing conclusions based on the findings, with the goal to implement the necessary changes to solve these problems. Making an organisational diagnosis is a group process. This means it requires a joint approach of possibly all organisational units. Individuals in the organisation have to actively and seriously participate in planning interventions and their implementation. This is why it’s important that following an organisational diagnosis, unlike a medical diagnosis, the problem isn’t just resolved, but that changes are also implemented and that new directions are possibly taken. High-impact changes such as a new course can benefit future performance and developments within the organisation. The context in which many organisations work is important to diagnosing them. Organisations are open systems, meaning everything outside of the organisation – the external environment – may influence everyday activities. Organisations that work in a stable environment generally don’t have a very dynamic character, so they don’t require a lot of changes from a diagnostic perspective. Organic organisations, such as universities, are and have to be highly flexible because of the high level of dynamic interaction with their external environment. The role of universities is to educate and train experts and professional human resources in the face of an ever-changing future. For this reason, organisational diagnosis is crucial. Universities have to stay one step ahead of future developments. Naturally, universities aren’t the only organisations that operate in a highly dynamic environment and have to be prepared for the future. Organisational objectives include the missions and perspectives of an organisational vision. These goals have to be clear to all employees and they need to abide by them, even if their individual philosophies about how things should be are completely different. The structure of an organisation is the bigger picture of power relationships and formal relationships between functional groups in an organisation. Structure should give a clear idea of the legal power, and it should also provide an accurate and fitting overview of how the goals of the organisation need to be achieved and who is responsible. Relationships include individuals, groups, technological and other functional sections that effectively work together. 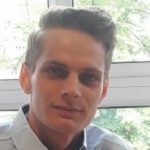 Reward systems include both official and unofficial rewards and have to be analysed in order to ensure sufficient (extrinsic) motivation among employees. Leadership refers mainly to the managers within an organisations, although non-managers can also have a leadership role within their own team. Managers need to use the human resources they have at their disposal as effectively as possible. They also use materials and other equipment from the organisation in order to try and achieve the organisation’s goals. They have to optimise collaboration between employees, in order to jointly work towards their goal or on the production of a single product. The intensive leadership style they will employ for this is aimed at tasks and relationships, managing and monitoring goals, identifying problems, and be highly adaptive to their environment, both internal and external. Helpful mechanisms are methods that help employees to coordinate their activities. Examples of such mechanisms are: descriptions of organisational approaches, procedures, seminars, notes, reports, perspectives, or integrated information systems. Marvin Weisbord identifies money, people, ideas, and machines as the input a company uses to achieve an organisational goal. Input refers to something that’s placed into the system – in this case the organisation – and is transformed into an output by an activity or function. The output are products and services. Output refers to what is produced by the system or parts of it. Naturally, organisations don’t operate within a vacuum. On the contrary, every organisation operates in an environment that exposes it to countless influences. From the availability of skilled workers to the price of raw materials; everything needs to be taken into account, but very little can be fully controlled. Competition is the most important external player for many organisations. This is why it’s important that every entrepreneur analyses the competition landscape in terms of customer needs in order to stay ahead of competitors. The phase of the economic cycle is another important factor from the external environment. Do consumers have a lot of faith in the economy? If so, they will more likely spend money on certain products. Economic instability will make customers want to hold on to their money. Customers’ fickle tastes, influenced by fads and trends, can make or break a business. By proactively studying the external environment, a business can aptly respond to such trends, for example. The Weisbord Six-Box Model is particularly useful for relatively uncomplicated organisations, and when the consultant doesn’t have the time necessary for an extensive organisational diagnosis. Even when the customer isn’t familiar with thinking in system terms, for instance in the case of small business owners, Weisbord’s Six-Box Model is still a valuable tool to visualise their business as a systematic whole without using complex terminology. The organisational diagnosis is particularly important for new businesses, primarily because they often don’t have a good overview of the environment they operate in and have high dynamic interaction with said environment. Market developments and prognoses are also relatively alien to them, even though they’re crucial for the company’s survival. What do you think?? Are you familiar with this explanation of the Weisbord Six-Box Model? Do you see the necessity of constantly and proactively evaluating company performance? What do you think are important ways to ensure problems are identified early and a company stays on course in the future?